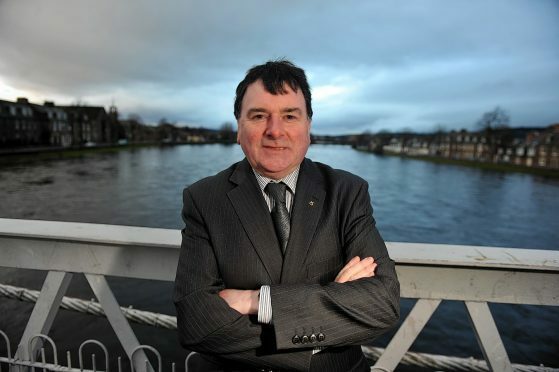 One of the most vociferous critics of plans for a new prison complex at a gateway to Inverness is confident public opinion will steer it to a suitable location elsewhere. There has been a tide of protest, locally and further afield, over the Scottish Prison Service’s choice of Milton of Leys beside the A9 on the south side of the city. Events have been arranged to guage public reaction. The issue has become one of the hottest debates in and around Inverness, sparking online campaigns on both sides of the divide. There have been bitter exchanges and repeated claims of nimbyism over the site selection in a discussion which has universal agreement in one regard – that a replacement for the overcrowded and outdated Porterfield jail in the Crown in Inverness is essential. Highland Council’s south area planning committee was updated on the prison service’s pre planning application at a meeting in the city yesterday, (TUES) at which members were reminded not to pre-judge any formal planning submission. Local councillor Ken Gowans said: “I’m confident that SPS and their agents Colliers will approach this strategically and release information as and when will best suit their purpose. “We’re now into the public consultation phase. If they’re listening to the public, not just in Milton of Leys but to wider public opinion in the Highlands, then hopefully this process will communicate very clearly to them that they do not have the support of the local community and they should look elsewhere before they go too far down the line of this proposal. He said one option is behind the retail park near the Stratton development area on the opposite side of the A9, to the east of the city. The SPS favours Milton of Leys because of its accessibility with an existing A9 sliproad and its 23-acre capacity. The complex would feature prison accommodation and gatehouse, visitors’ building and family help centre. Opponents are anxious about its proximity to homes and a primary school. Some councillors have suggested it would conflict with the recently drafted local planning framework which zones the area for business use. Public events so far planned are for 2pm-7pm at Inshes Church on May 26 and June 8.